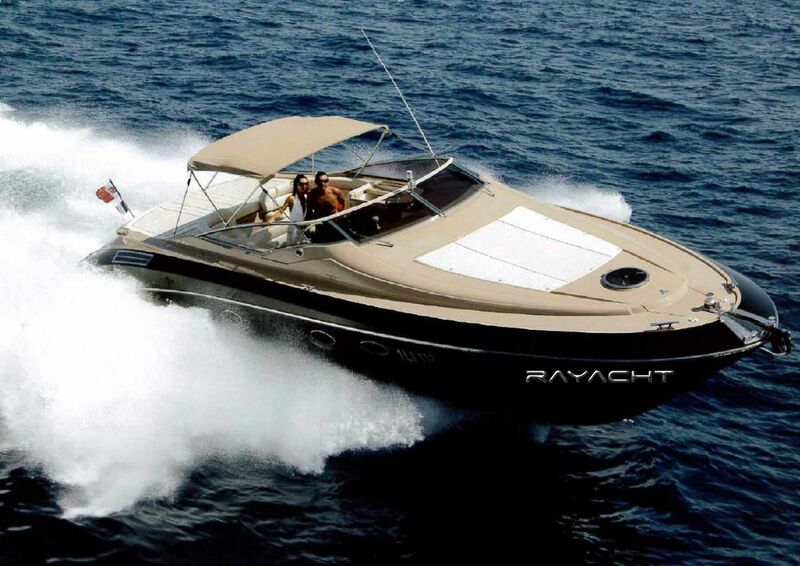 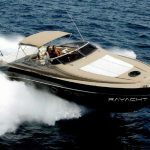 A sport boat, capable of brilliant performance but in line with the shipyard tradition. 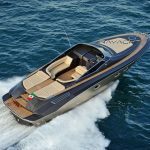 The hull is projected by Victory Design, a team that can boast great experience in the most prestigious competition powerboats. 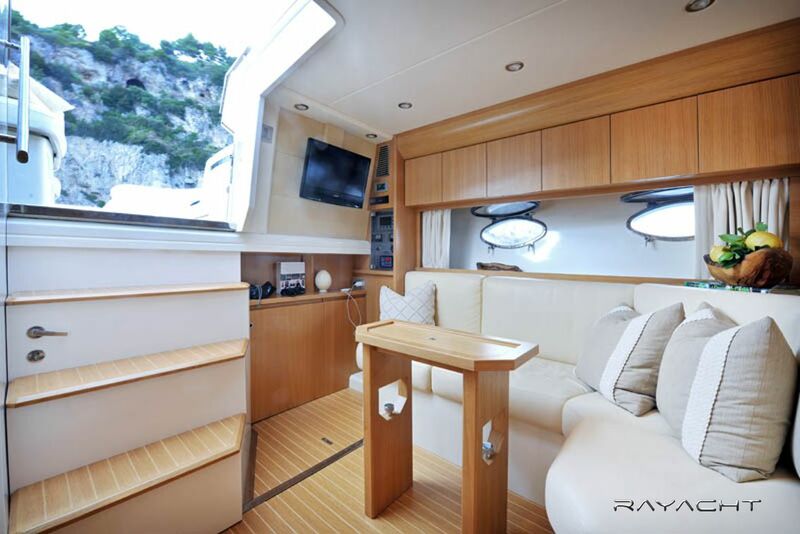 Nuvolari & Lenard Studio, ever since the author of Sarnico design, has drawn the racy deck lines, modern and at the same time inspired by the past stylistic features.The spider strictly keeps all Sarnico typical elements: long slim bow, the wide sunbathing areas and an equipped outside living, with sofas, table and galley, first class furniture. 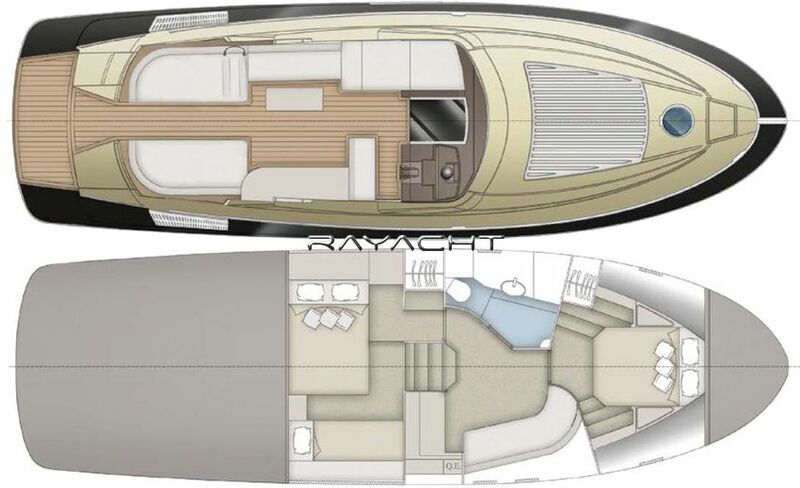 The cockpit may also be covered by a bimini, able to protect from sun or bad weather, without compromising the line or the pilot seat ergonomics. 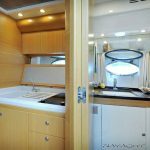 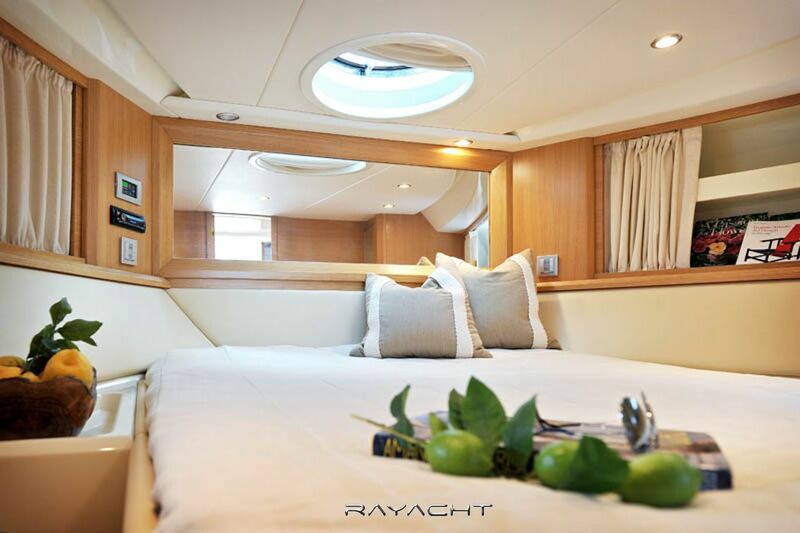 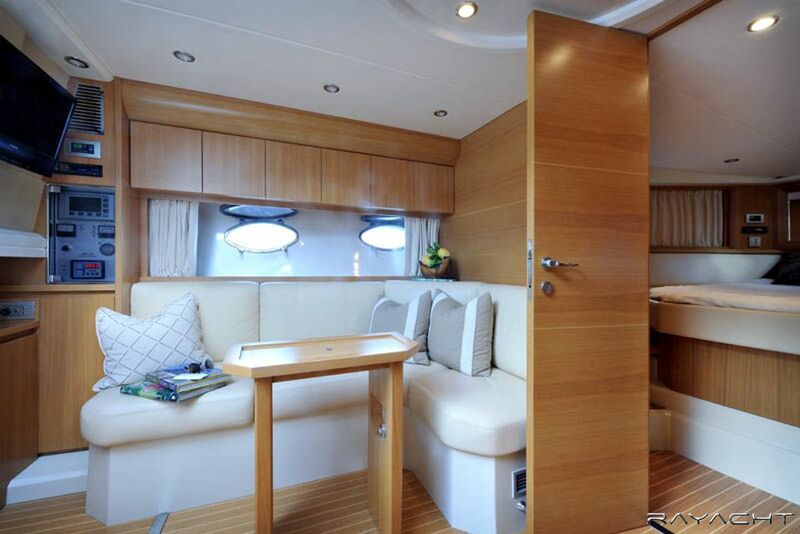 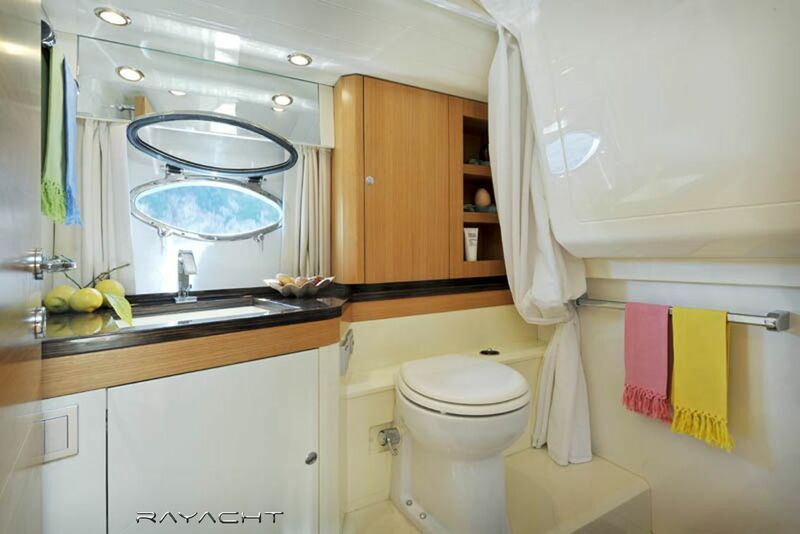 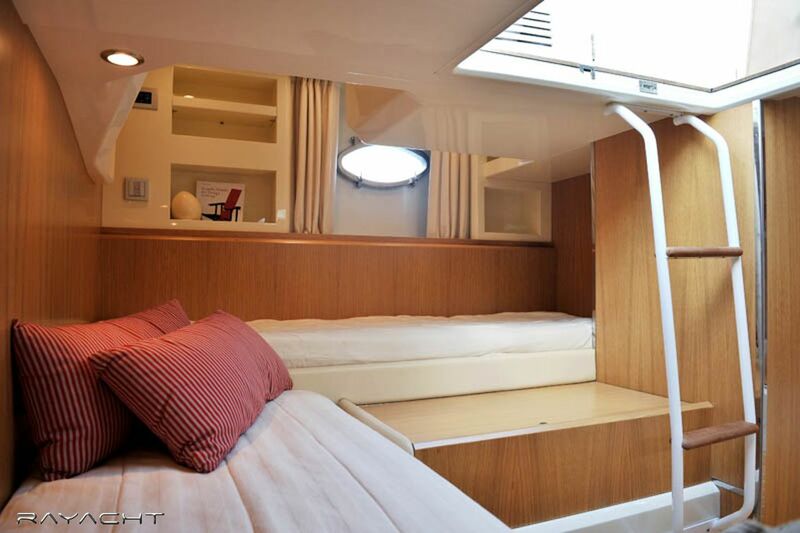 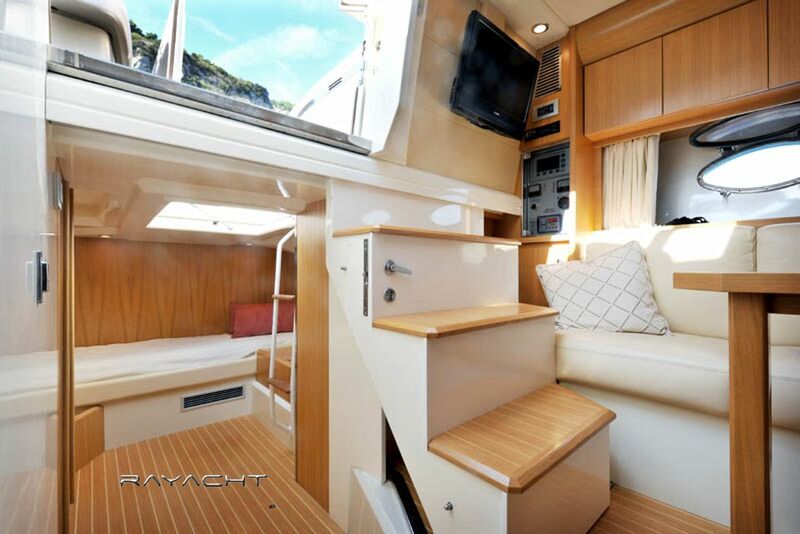 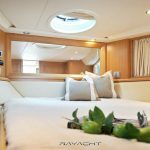 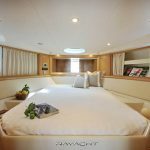 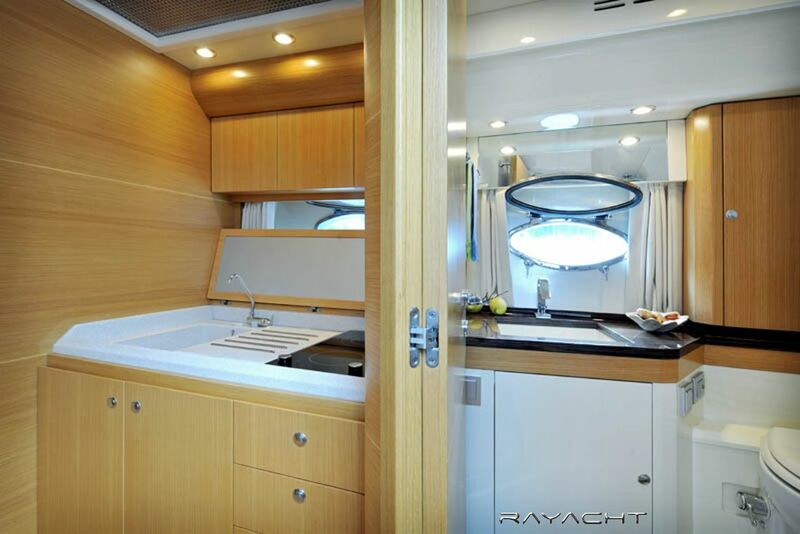 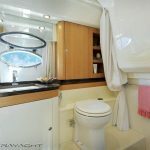 Underdeck there is the roomy salon with galley connected to the cockpit by a wide opening that underlines the airy spaces.At bow there is a real owner suite, large and comfortable as Sarnico Owners wishes and characterised by a separated shower box. 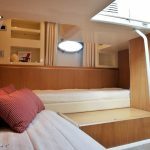 Under the cockpit there is a second cabin with two separate beds for the children (or guests) with bathroom en-suite. 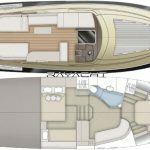 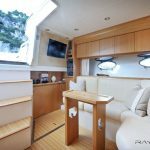 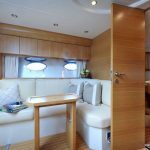 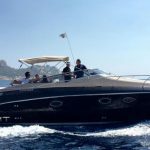 The hull, specifically projected for the Volvo Penta IPS propulsion system allows to run up to 39 knots with two 435 hp engines and it’s very comfortable in choppy seas. 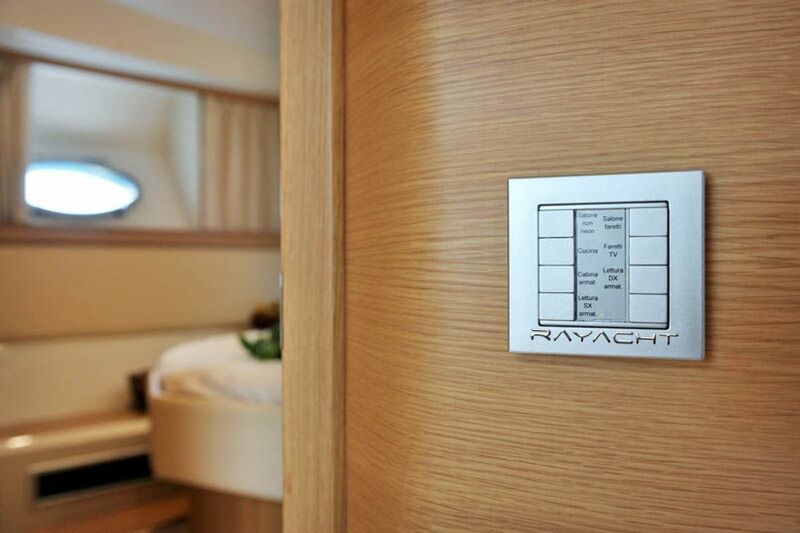 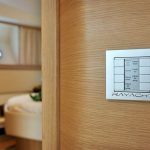 With the joystick system it’s easy to be moored. 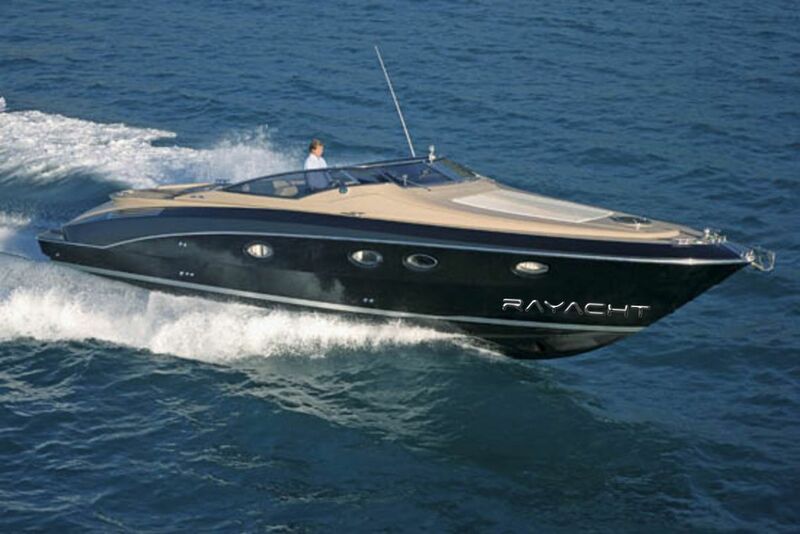 The Spider won the “European Powerboat of the Year 2007” award. 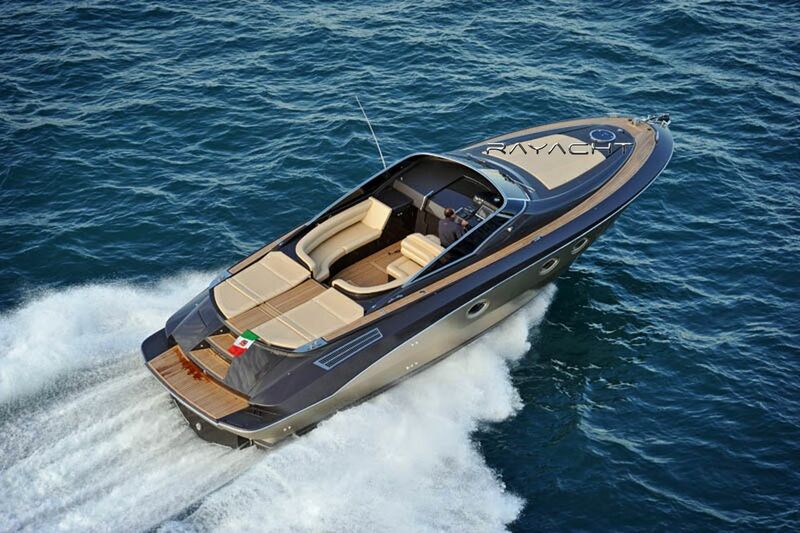 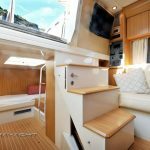 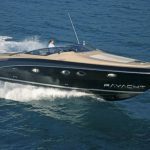 Sarnico shipyards featured a special version, Spider “Perla”, a model that offers some fresh exotic finishing and leather. 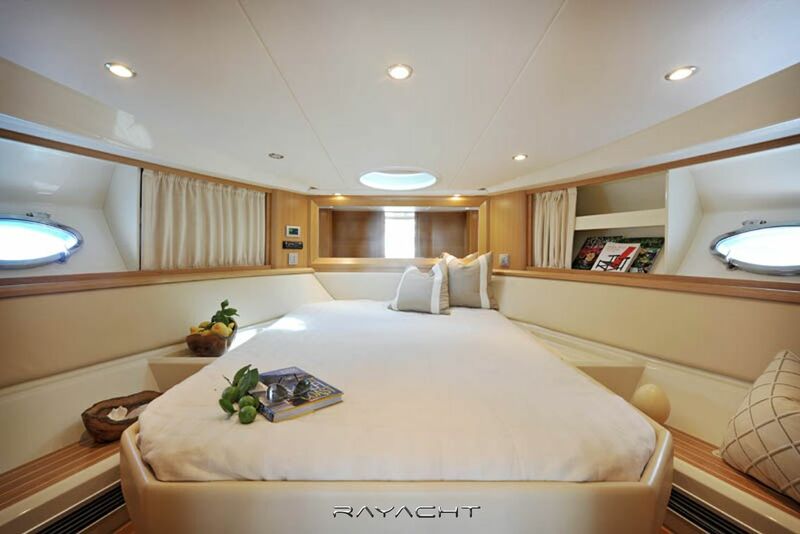 Other featured version of this yacht are the concept boat “Spider V” and the Sarnico “Spider Special Edition”, designed by Dante O. Benini & Partners Architects’studio.